Sometimes I just want to dip. I don’t want a meal. I don’t want all the side dishes. I don’t even want to use a fork. Give me a couple different dips and a bag of tortilla chips, and I will be happy as a clam. Some go-to favorites of mine are the usual guacamole, crab dip and “Man Dip” (yes, I know I’m a girl). But this weekend I wanted to try something different, without trying my waistline. Skinny Chicken Spinach dip is quick and easy to make but won’t leave you feeling guilty for eating half of the pan. Well, It didn’t leave me feeling guilty. And yes, I did eat half of the pan. It’s hearty enough for a meal but skinny enough to keep you in those skinny jeans. First, place the softened cream cheese in a large bowl. Using a mixer, whip on low-speed until it’s nice and creamy. Throw in the onions, garlic powder, ground mustard, paprika, salt and pepper. Gradually add the Greek yogurt and whip until the cream cheese, yogurt and spices are blended nice and smooth. Fold in the chopped spinach, diced chicken and half (4 oz) of the cheddar cheese. Spread mixture in an 8 inch baking dish and cover the top with the last of your shredded cheddar cheese. Cover the pan with foil, pop in the oven and bake. Check after about 30 minutes. If it’s warmed through, remove foil and bake about 15 more minutes until the top is bubbly and browned around the edges. 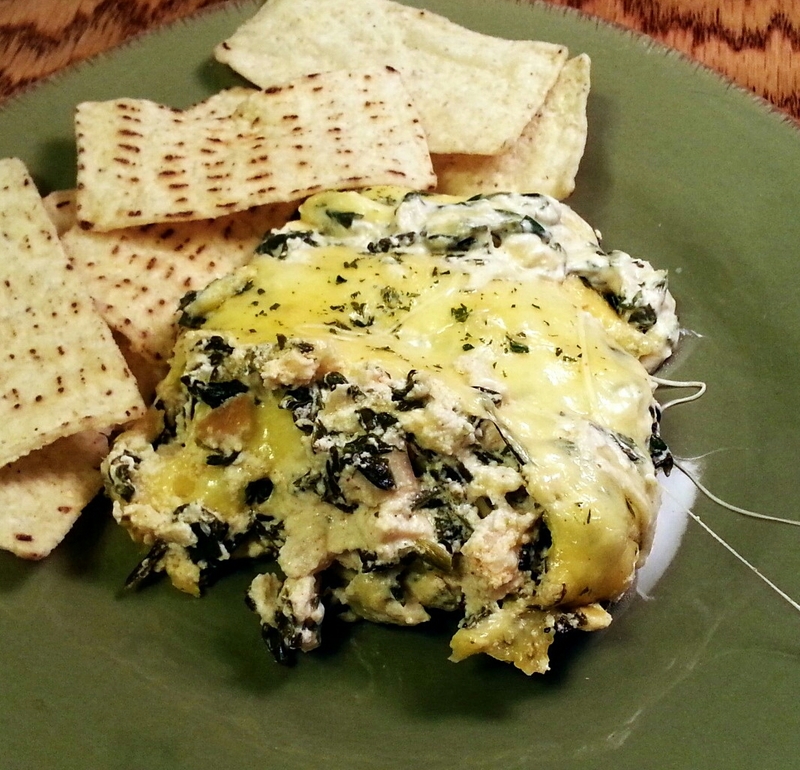 This entry was posted in Dinner, Dips, Food, Light, Low Carb, Munchies, Recipes, Sides and tagged cheese, chicken, greek yogurt, Healthy, low-fat cream cheese, skinny, spinach, tortillia chips. Bookmark the permalink.